Need more press time? Perhaps you have a new project in mind or want to reuse plates from a previous class. 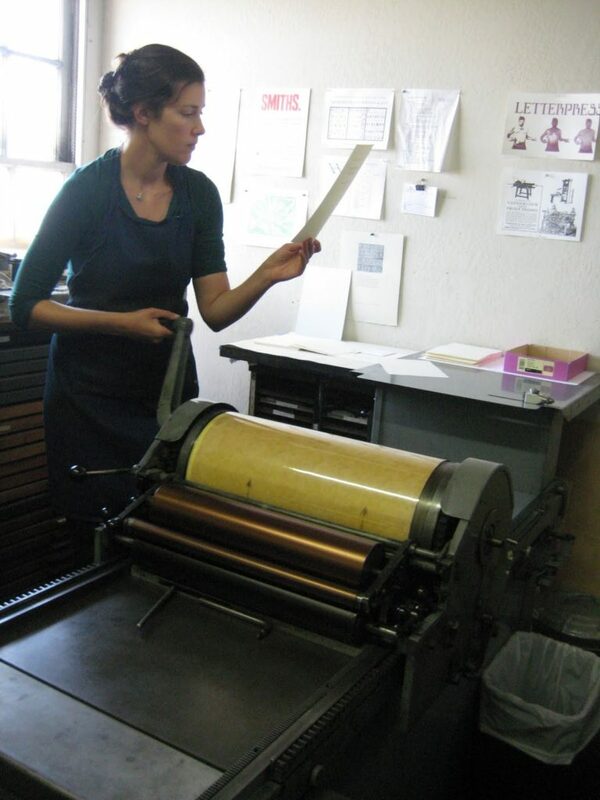 Letterpress Open Studio is designed for students who have taken a letterpress class at Kala in the past year and want to come back to print more. The instructor will be available to facilitate and trouble shoot but we expect that participants will be self-sufficient. In addition to the letterpresses, students will have use of the platemaker but should bring their own film and plates. Students should be prepared to share press time. Bring paper and passion to finish an existing project or crank out something new. Thea Sizemore has been a practicing artist for over 20 years focusing primarily on printmaking, bookarts, and illustration. Originally an east coast native, she has studied at the Cleveland Institute of Art and the California College of the Arts (where she received a BFA in printmaking with emphasis on bookarts). Her personal work tends to revolve around mixed media hand-bound book forms. Thea is also the founder and printer of Kavamore Press, a custom letterpress and design studio which has recently relocated to South Berkeley.